With the Academy Awards approaching, coupled with the numerous amounts of movies Ruby watches, we thought "The Ruby (movie) Review" would be helpful (or not) and certainly entertaining for all of you. All movie reviews will be written by the Ruby of the Rose. First up, Blue Valentine. 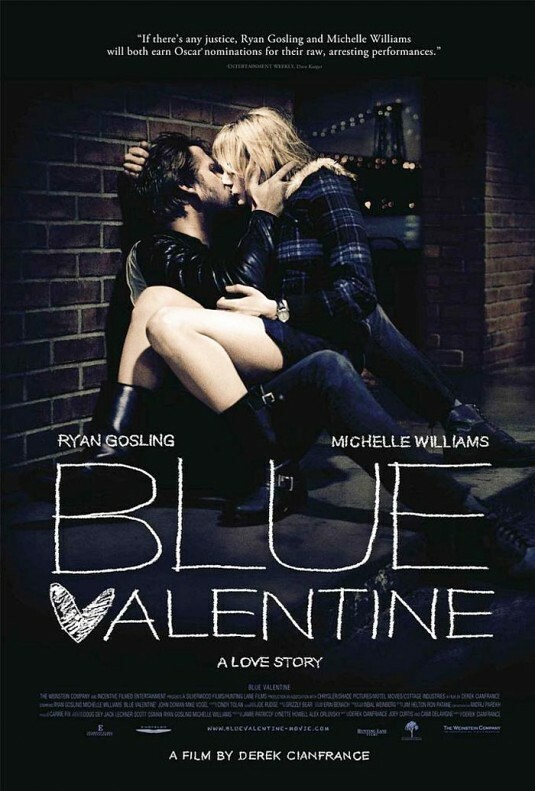 Blue valentine was a letdown. From the trailer I expected a more intense, indie version of The Notebook but it was far from that. Ryan Gosling was gorgeous and Michelle Williams was incredibly talented as always, but their characters were disappointing and lacked depth in my opinion. The entire movie jumped around, from fighting parents to unplanned pregnancies to random love scenes. Good movie idea but too many subplots. Highlight was the music, with surprising singing talent from Gosling. On a whole, it was a letdown but not a total waste.